I received this book for free from the author through Goodreads. It was sent to me in return for an honest review. Synopsis: Everyone in the world wants to be happy. Each and every one of us has a heart that longs for simple human happiness. As humans we were designed to experience a great deal of joy, rivers of joy -- gushers. While challenges and burdens threaten to rob us of joy, the fact is that it is still there -- humming away on the inside. 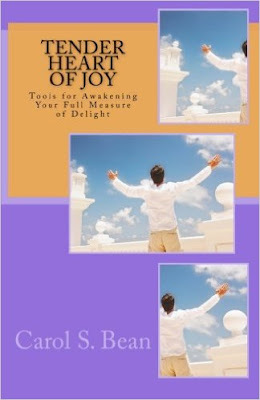 In this book I will show you how to get back to your natural state of joy using effective tools that will surprise and delight you. In our world we need more joy. Fortunately, it's infectious -- when you increase your own joy, you make our world a sweeter place to live in. Review: This book is an interesting read. I found that I had gotten completely lost in this book. This book is all about happiness and how to bring infinite happiness back into your life. This book discusses many ways to release happiness in the most ordinary and mundane of tasks. This book will be a great read for anyone who wants to bring more joy into everyday tasks such as mopping the floor or doing the dishes. I enjoyed reading this book and it taught me a lot about being more joyous in my everyday life. This book has really helped me out; Suffering from anxiety and depression means that I find it hard to the joy in ordinary things and through reading this book I have learnt to make subtle changes to how I see the world.